Solo travel is one of most liberating experiences on the planet – you’ve got no responsibilities to anybody but yourself, you can do what you want and leave when you like, and the buzz you get from the sense of freedom is immense. 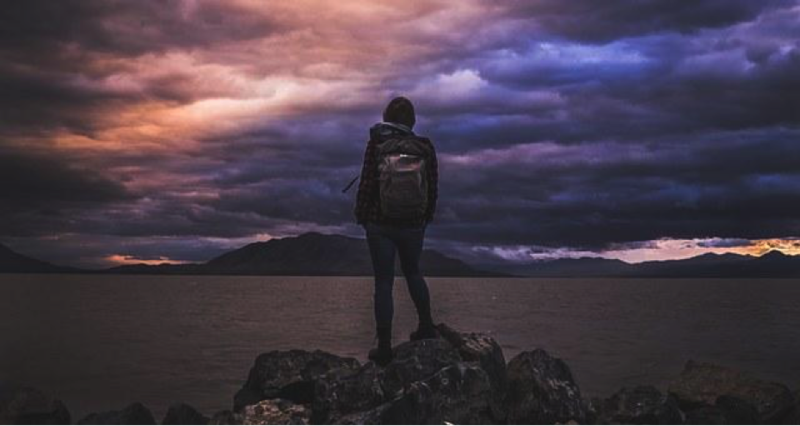 This has put more women traveling solo on the trail of new adventures and travel experiences that have the capacity to totally change their perspective. Lone travel affords you the opportunity to immerse yourself in a new culture, identify with a different tradition, see new places, taste local cuisines, and make decisions without prejudice. Although solo travel can be daunting, it shifts you out of your comfort zone, sharpens your focus and survival instinct. And you can pick up a new language. It is a rewarding experience and a confidence booster as women can practice their survival instincts in a starkly different environment. Suzanne Randolph, with more than 2 decades frequent solo travel experience says it is “a worthwhile adventure”. Don’t embark on solo travel without finding out the risks involved in such expedition. Every endeavour carries some risk, but, hey this is a rewarding experience that shouldn’t leave you with a sour taste. The tips here should be inculcated by a first-time traveller to ensure safety, minimise risks and have an authentic travel experience. If you’re an aspiring solo traveller, it will do a lot of good to put these tips in mind so you can enjoy the best bit of everything, including tourism, dinner, hotels, food, exchange rates, flight fares, and shopping. Here are the best tips for your next journey to be a success. Don’t just pack your baggage. Be prepared. Never rush into an unknown territory, but do a proper local research of your proposed destination. It is better to start from a known destination. If you live in Europe, then don’t start a solo travel to Africa for a first-time experience. The next best location is a country in Europe or even a city within your country. You don’t want your friends and family to dissuade you from a decision to explore new lands and places. After choosing a location, and on arrival, always remember the phrase “start small and research.” You don’t want to go rushing to every event and gathering, only to regret the decision. Do proper research of the destination’s culture, cuisine, language, accessibility, transportation modes, dressing, nightlife, accommodation, and tourism. This will help you prepare and cope with rude shocks. Travel apps and social media are powerful tools to connect with other travellers in your new location. You can use Tinder to connect and hang out with other tourists. Technology can solve so many knotty problems for you. Accommodation, flight booking, travel insurance, taxi rides, and dining can all be accessed via apps on your smartphone. You don’t need to seek locals for directions every time, Google map offers all the help you may require. Solo travel is capital intensive. It is better if you pick places that have a weaker currency than your home currency. Opt for places where your local currency is strong. Book a trip to South America, Africa, Australia and European countries with relatively weaker currency than the Pounds. Economically developing countries offer double or triple your local currency. This gives you more a higher spending power. Application of simple safety tips will aid your survival in a new environment. Avoid heavy drinking and solo night walking. If you do stay out late, then it is better to use Uber which records your journey information. Trust your intuition, be aware always. Solo travel gives you a new sense of urgency as you aim to avoid injuries and incidents. Avoid partying and heavy drinking. Modesty is the new watchword. Dress modestly to minimize attention from men. Take a cue from the dress mode of the local women. Avoid drinking alcohol in public places especially at night. When exploring tourist sites such as National Parks, stay with a group and avoid walking by yourself at night, especially in dark alleys and streets. It is a smart idea to spend more on your safety during your trip. Ride a taxi at night if walking is dangerous. Rent hotels in a safe and central neighbourhood. Before each journey, be sure about the location of the train or bus station, departure time and expected arrival time. Make enquiries about the safety and services offered by the public transportation mode. You can hang out in cafés while waiting for the next train or bus arrival. If you do take the train, avoid sleeping in empty compartments or joining strangers. Book a compartment with a family or rent a couchette for overnight trains. The safer, the better. Always keep your valuables safe, take only what you need on each journey. Carry minimal cash. The success of your solo travel doubles when you are well prepared and self-reliant. Carry cash, a debit card, a guide book, a map, and a translation book. With your heads raised high, walk purposefully. Blend in with confidence. Don’t wear flamboyant or revealing clothes that attract men’s attention. Getting lost in a new neighborhood shouldn’t be a problem as you can consult a local map, Google map or ask a friendly-looking local. The best bet is always to check-in to a store or restaurant to ask for directions. Cash withdrawals should be during the day alone; avoid deserted neighbourhoods or cash machines. Don’t trust people too quickly, especially with your gadgets or safety. Learn to say no when you are being bothered by a stranger. There is no reason to be polite when you need to quickly create a safety boundary. Use body language, facial expressions and a loud firm void to ward off unwanted attention. Only meet new faces in a public place. 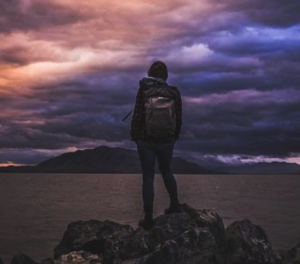 The list of safety tips for solo travellers is inexhaustible but most importantly, you must learn to trust your guts, use your intuition and exude confidence. Make good and informed decisions. Language may be a barrier, but be on the outlook and keep a low profile to avoid spectacles. Be prepared to have a life-changing travel experience and magical moments. Seeking a travel companion for the North and/or South Islands of New Zealand. I’m 57, from Phoenix Arizona, USA. Conversational ability in French, Spanish, and Sign Language. I’m outgoing and energetic, but also need alone time. I’m flexible with dates, but the ideal would be some time between October 22 through November 3. Currently staying for two weeks in Auckland at an AirBB. i do have concerned because im muslim and wearing Hijab,and i booked local tour with kiwiway travel. any heads up for safety travel tips?